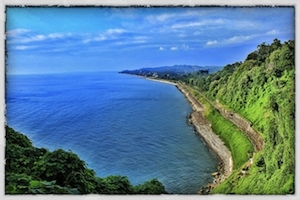 The chant shen khar venakhi (You are the vineyard) merits a special post. It seems to be everywhere! On television, at weddings, funerals, high school concerts in the USA, Ivy League a cappella concerts, dinner parties in Tbilisi... 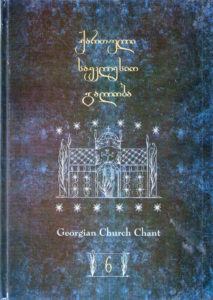 It is undoubtedly the most well known chant from Georgia, and the most beloved. But why this chant? What is its story? Who sings it and why? 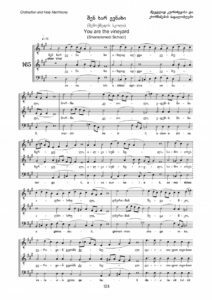 Is there something in the music itself that is appealing, or perhaps the text? This is Post 1 (of 3) on the very special chant, shen khar venakhi (You are the vineyard). 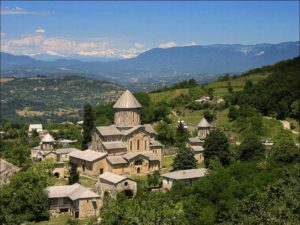 Post 2 is a full discussion of the East Georgian variants, especially the popular "Paliashvili" arrangement, and including a playlist of 65+ performances. and understanding the oral tradition that they represent. 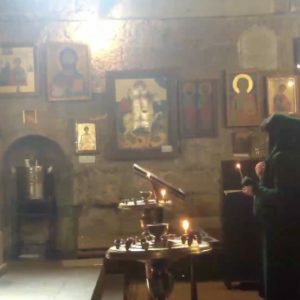 NOTE: the videos of shen khar venakhi performances on this page are organized into a series of special playlists categorized by: general playlist (above); international/Georgian choirs; women's, men's, childrens' groups, and instrumental arrangements. 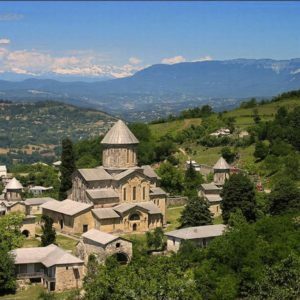 NOTE: For other playlists, follow these links: the famous Paliashvili variant playlist, the Karbelashvili original East Georgian variants playlist, the Gelati monastery style variants playlist, and the Shemokmedi monastery style variants playlist. da tavit tvisit mze khar gabrts'qinvebuli. May God adorn you; no one is more worthy of praise. 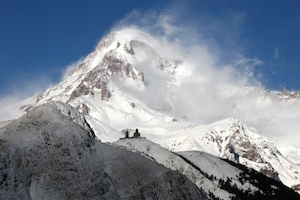 Shen khar venakhi was popularized during the height of the Cold War. 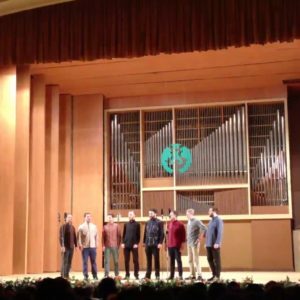 The Gordela Ensemble and then the Rustavi Ensemble sang two different musical versions of the text in the late 1960s. 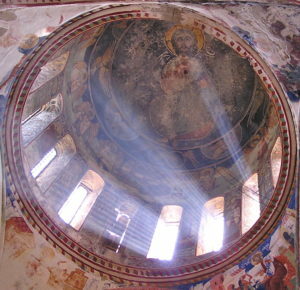 The words are para-liturgical, and don’t explicitly mention Christ, the Theotokos, or any other overt religious theme. 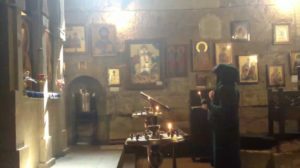 In reality, the text is very Orthodox Christian: it’s a praise text glorifying the radiance of the Virgin Mother, though it doesn't specifically name her. 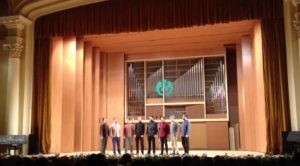 Soviet authorities apparently accepted its careful designation in the 1960s as a “Chorale,” allowing its performance on stage and at weddings around the Soviet Union. 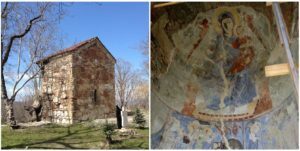 It is said that King Demetre (1093-1156), who was a known poet, authored the text of shen khar venakhi (near the end of his reign, the king took the monk's name Damiane, and moved to the remote Davit Gareji monastery complex to be a hermit monk). 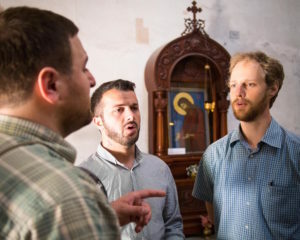 In Georgia, the chant has both a secular life and a religious life. It's secular life persists on its popularity as an informal national anthem among the general population. 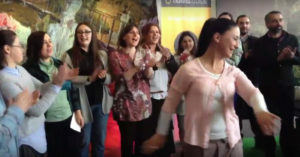 During times of national crisis or tragedy (the 2008 war), or collective triumph and joy (almost every Georgian wedding), this is the song that is requested and sung. 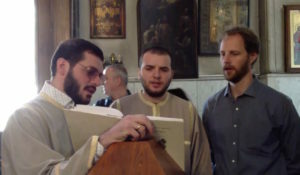 Shen khar venakhi has also been reclaimed by religious singers in the Post-Soviet era, who perform its many variants as often as possible in para-liturgical settings such as funerals, weddings, or waiting for communion in the Divine Liturgy (the text is not part of the formal liturgical canon). The ways in which singers choose to perform the chant has much to do with these diverse situations and audiences, as discussed below. 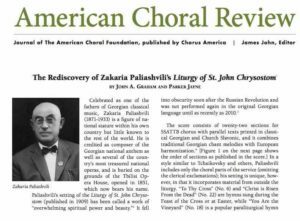 The Yale Russian Chorus (YRC) first popularized the hymn outside of Georgia, after learning it in 1968 from members of the Rustavi Ensemble at a concert after-party at a Budapest hotel (fascinating back story to this event). 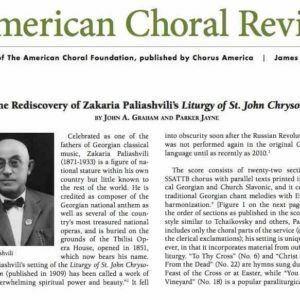 The variant that they learned was a three-voiced arrangement of an arrangement... a reduction of the six-voice Paliashvili arrangement published in 1909. 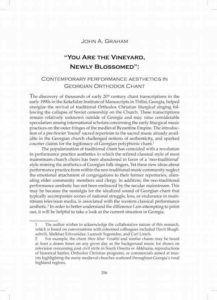 I’ve written about more thoroughly about the sources of this chant, and its transmission through the 20th century in the academic paper, "You are the Vineyard: Contemporary Performance Aesthetics in Georgian Orthodox Chant" (2009). Shen khar venakhi was performed and recorded multiple times by the YRC after 1968. 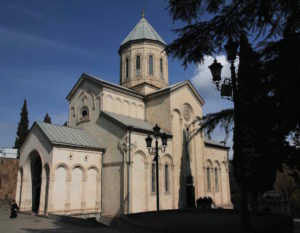 Alumni spin-off groups such as the Kartuli Ensemble (formed in 1991), the Kavkasia Trio, and many choirs around Europe and the United States also begin singing shen khar venakhi such as Kitka, Marani, Futen, Village Harmony, Darbazi, Princeton Georgian Choirs, Maspindzeli, etc. 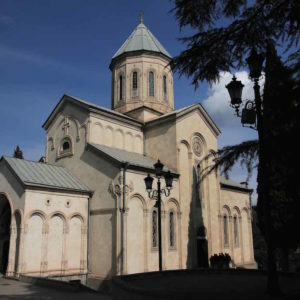 In recent years, music scores for the Paliashvili variant from East Georgia (see Post 2, this series) has become abundantly available, leading to an explosion of performances by high school and amateur choirs around the world. 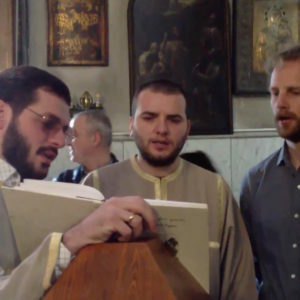 Suffice to say that almost every young Georgian learns this chant, and increasingly it has come to represent Georgian polyphony for tens of thousands of singers around the globe. Shen khar venakhi on instruments!